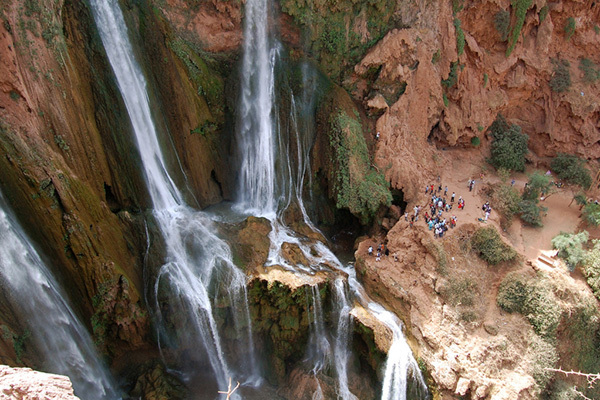 Day trips from marrakech to ouzoud waterfalls is among the most beautiful tours you can do in the Middle Atlas. 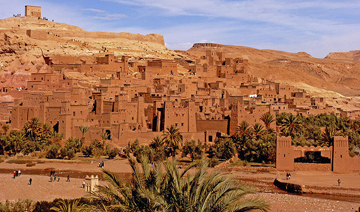 Because, this place is one of the most visited and photographed natural sites in Morocco. 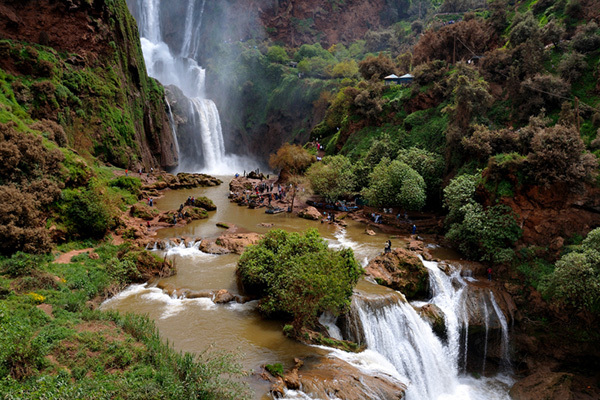 Drive into the beautiful High Atlas, on a full day trip to ouzoud waterfalls from marrakech. 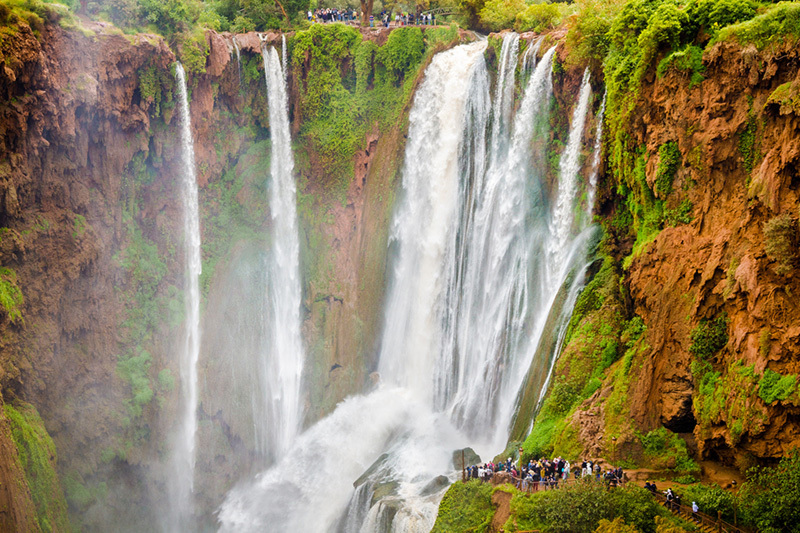 Discover the highest waterfalls in North Africa . 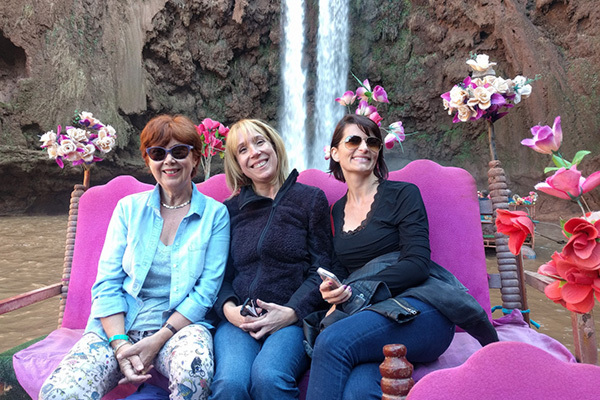 Travel through a landscape of rolling foothills and olive groves, then enjoy free time to relax by the 330-foot (110-meter) waterfalls. 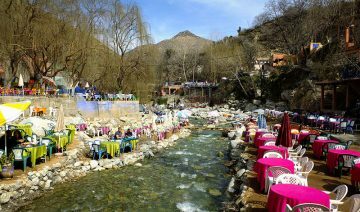 Cross the river on a hand-powered barge, visit cafes at the edge of the water, or check out the Barbary apes that live in the lush river valley. 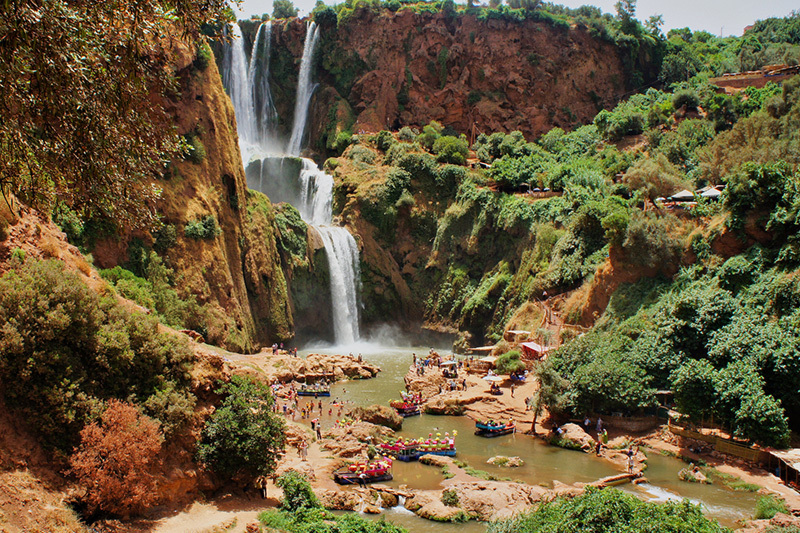 With the convenience of pre-booked transport, this Ouzoud Falls trip is a great day-long escape from bustling Marrakech. 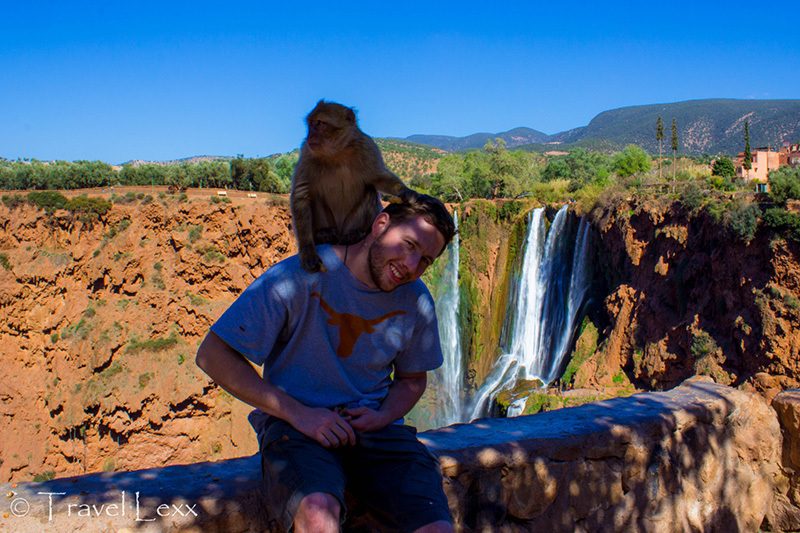 If the itinerary Ouzoud Waterfalls excursion from Marrakech that we offer do not match what you're looking for, contact us and we will prepare the trip to your needs and requirements. 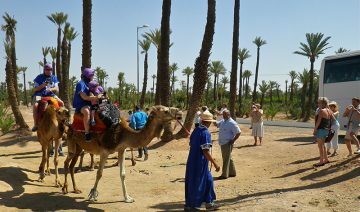 Enjoy a day by walking through the shaded olive groves, where the trees have been owned by generations of Berber families. Continue along the paths and begin to descend to the gorge below the falls, first looking out over the valley spreading before you. Walk along the river rapids and continue through the shaded groves, until you come in sight of the falls. Three large cascades feed into a single fall that crashes into the pool below. Descend down and take a barge across the river and into this basin, bringing you closer to the falls, where you can feel it's spray. After a pause to enjoy the sheer beauty and enormity of this wonder the barge continues on, taking you to the opposite bank. 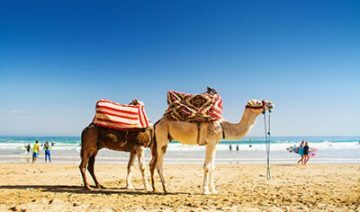 Enjoy a day by walking through the shaded olive groves, where the trees have been owned by generations of Berber families. Continue along the paths and begin to descend to the gorge below the falls, first looking out over the valley spreading before you. Walk along the river rapids and continue through the shaded groves, until you come in sight of the falls. Three large cascades feed into a single fall that crashes into the pool below. Descend down and take a barge across the river and into this basin, bringing you closer to the falls, where you can feels it's spray. After a pause to enjoy the sheer beauty and enormity of this wonder the barge continues on, taking you to the opposite bank.